As widely expected, Apple has unveiled a smaller iPad, called the iPad mini. The Apple iPad mini is just 7.2mm thick, about 23 per cent thinner than the new fourth generation iPad. Apple claims it's thinner than a pencil and that the key point of the mini is the fact you can hold it with one hand. The iPad mini weighs just 312g. It features a similar anodized aluminum finish to the iPhone 5 and comes in black and white variants. Apple was keen to point out that the iPad mini "isn't just a shrunken down iPad". 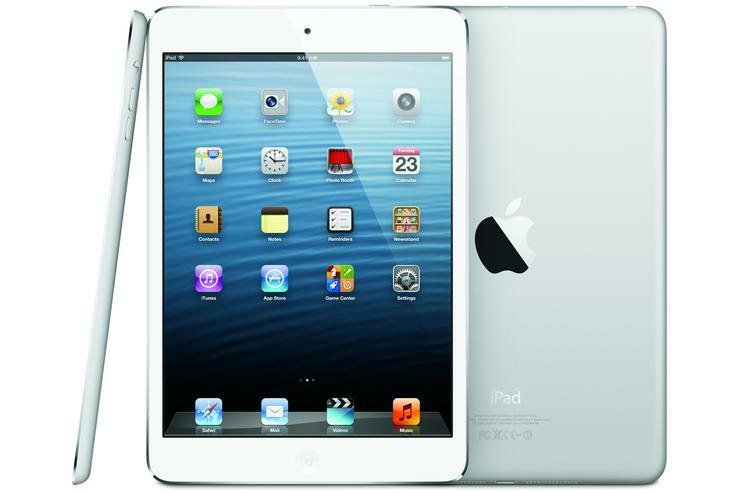 However, its specifications essentially make it a smaller iPad 2 with better cameras and 4G connectivity. It also runs the same dual-core A5 processor as the iPad 2. The Apple iPad mini will run existing iPad apps normally with no modification required. The 7.9in screen is larger than most 7in Android tablets on the market, but it has the same 1024x768 resolution as the iPad 2. The iPad mini doesn't have a "retina" display. It has a pixels per inch rating of 163ppi compared to the fourth generation iPad's 264ppi rating. The iPad mini has the same 10 hour battery life as the larger iPad. Apple claims the iPad mini has a third larger display area than the Google Nexus 7 and a 50 per cent larger display area in the browser. The company says that the number one use of the iPad is Web browsing. The iPad mini includes 4G connectivity and it will work in Australia on the 1800MHz LTE networks used by Telstra and Optus. It will be available in Wi-Fi and Wi-Fi + 4G models in 16GB, 32GB and 64GB capacities. As expected, the iPad mini uses the new 8-pin Lightning connector. The iPad mini has a 5-megapixel camera that's similar to the one used on the fourth generation iPad. It features a backside-illuminated sensor and doubles as a full HD 1080p video recorder. There's a front-facing 1.2-megapixel camera for Facetime calls.